It started in January when I went to the Women’s March in Washington, and was especially strong during my trip to the beach where I met Manannan Mac Lir. 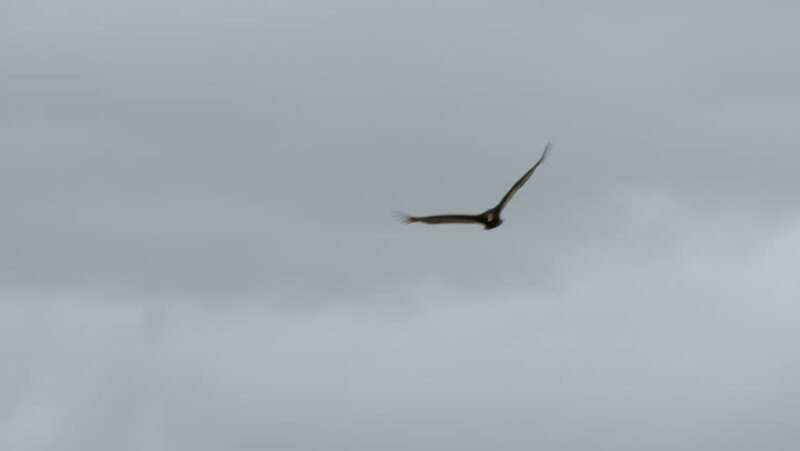 I dedicated both trips to The Morrigan, and both times saw an inordinate amount of soaring birds I assumed to be hawks. In addition to those times, any time I’ve felt particularly connected to Her or done something in Her honor, I see them. That’s ONLY when I see them. When I got home later, much googling ensued. And I started to think that Max was right – I had been seeing Vultures (for that’s what “turkey buzzards” actually are) all this time. Not long after, during my morning devotions, I saw the bird. I ran out to the driveway to get a better look, but he was up very high and heading away from me. I asked Her to have him fly back and give me a better look so I could be sure of Her message – there’s a big difference in symbolism between hawks and vultures. Within minutes two of the birds were circling low overhead. And they were without a doubt Turkey Vultures. But Are Vultures Connected To The Morrigan? At this point I had what we Pagans call UPG – Unverified Personal Gnosis. But I want to keep my faith grounded in as much verifiable information as possible – otherwise faith can become an exercise in imagination alone. In one Facebook group dedicated to Her, I had a handful of people agree that they, too, see vultures in connection with Her. So that’s one checkmark – it’s not just me. In the Irish Magic & Spirituality group hosted by the amazing Lora O’Brien, I asked the group about the possible connection. Is there any mention in the Lore, or have any artifacts been found that could back this idea up? Morgan Daimler (Preeminent expert and author of Pagan Portals: The Morrigan – which I highly recommend – it can be purchased by clicking the image at right) responded that Vultures don’t exist in Ireland. There are only crows and ravens – this was backed up by several other group members. Plus, there have never been images of the Morrigan found on the island. On the European continent, there are “cognate” or similar Goddesses – War Goddesses of other Celtic tribes that have similar attributes to The Morrigan. These Goddesses aren’t the SAME as Her – they are each unique individual deities. But as noted below, they can shed light on overall themes in Celtic patterns of religion. And there are Vultures in Europe. The name Badb is from the Irish word badb, generally translated as “crow”, though its meaning and usage in ancient times with reference to birds was generally less specific and could indicate any carrion bird (crow, raven, or vulture), or occasionally even a bird of prey. …in Irish tradition it’s mainly crows and ravens that would be associated with the Morrígan, but in places where there are vultures, vultures can occupy the same role both ecologically and spiritually. I have had signs and communications with the Morrígan involving vultures myself – the area where I grew up and lived in my early adulthood had a lot more vultures than corvids. It’s a thing. She’ll make use of whatever’s in the environment and the relationships with beings that are there. But clearly, She’s not a one-bird Goddess. So if you’re a follower of Hers and you’re seeing a lot of Vultures then listen up – the Great Queen is, indeed speaking to you.